First published in 1941, A Taste For Honey was one of the very first Holmes pastiches. The plot features a mysterious retired beekeeper who goes by the name of "Mr. Mycroft." While the original intent seems to be that this is Sherlock himself, later publishers packaged the book as a "Mycroft Holmes Mystery." Two more Mr. Mycroft adventures followed: Reply Paid (1945) and The Notched Hairpin (1949). Who is Mr. Mycroft? The true identity of this magnificent, inscrutable old gentleman is a deep secret–but there are echoes of Baker Street in his voice, and a familiar gleam in his eyes that miss no clue. 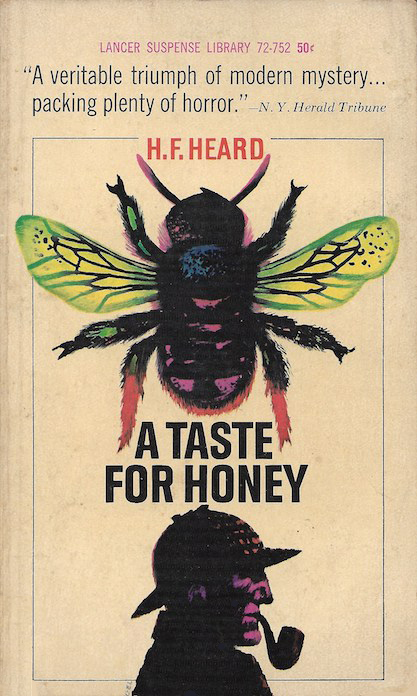 In A Taste for Honey, he meets one of the most sinister murderers of all time, and encounters one of the most fiendishly ingenious murder methods ever devised.